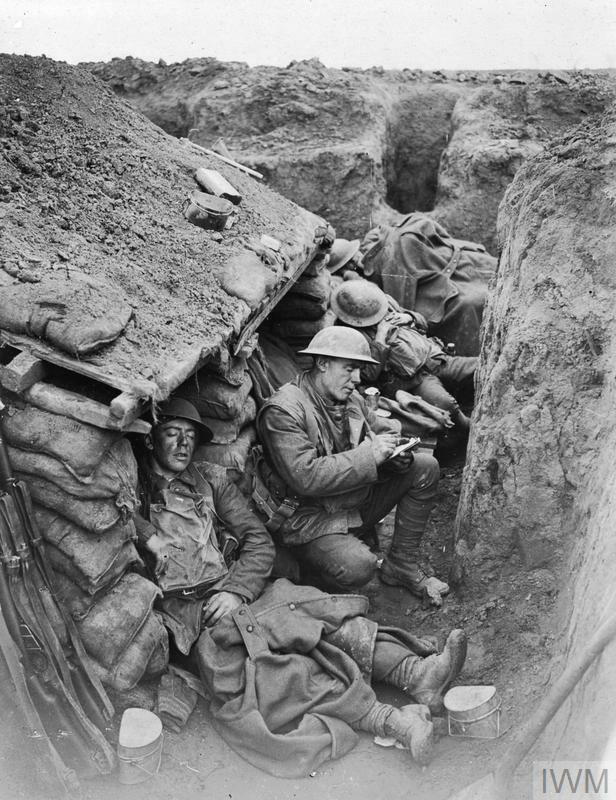 A World War 1 trench, not quite the Hyatt, Hilton or whatever, way beyond my experience. the glue of resignation and guilt. going home, could it be? of death and pain rain down. what chance of laughter, to share life’s joys? they could hold me in this tomb. one I may yet wear. I hope someone remembers us. I hope we never forget. Way beyond my experience..in “A Soldiers Sketches Under Fire” Harold Harvey writes of the song they would sing in the trenches, and yes it was about wishing to go home. You have written a tribute that helps us remember the humanity of these soldiers. Wow, thank you for that, so appreciate your thoughtful response. gave me chills. sad. perfect as a remembrance poem — doesn’t glorify the war, remembers how bad the conditions were, how difficult to survive and yet shows the courage and grit the indivdual men had. Wow, thank you, so enjoyed your reflection. My maternal grandfather went, and my wife’s maternal grandfather went, horrible. War is horrible. People forget how bad it is/was. I would agree, nothing to glorify. except for the courage of the people who found they had to fight, and the love for the people they had back home. That’s why I found your poem perfect. You got it right. Well, I really appreciate your response, thank you. You have described it so well. The horrors of war are unthinkable. Makes one wonder how any leader can send men into destruction while they sit in their home and sleep in their own bed. When will we ever learn! Yes, when. It destroyed many of my relatives lives, and so many others and continues. Horrible. I watched the PBS series by Ken Burns on the Civil War. It was unbelievable what those men went through when wounded or injured. Yes, i saw that series, astounding. I shared it on my FB page. Thanks for writing it. The hope is not in vain! More than ever, we must remember. great rendition of the daily horror and nightmares … see my W O E … my grandfather, father, uncles etc all went … they were all anti war and died of war related injuries but we the family had to live with the damage and nightmares … it must stop! Yes, so many of our families. I have always believed it does. Lest We Forget – the eleventh hour of the eleventh day of the eleventh month, recall those we lost … Thanks, Paul. Well thank you Cage, very kind of you to do that. Soldier’s “One last favor” is “I want to go Home”. It makes no difference to Soldiers whether who is hero or Not. The general public does not know. An ordinary ppl watches TV and claims that own side is justice. Politicians praise a soldier who died in the war as a “hero” and send civilians to the battle field again and again. Especially Western (from in WW1) can not stop “robbing” quit. Excellent poem. Very moving and appropriate for today. Yes, such suffering for a whole generation, those who came home were already dead – the living dead. Yes RIP. Thank you. Reblogged this on M.A. Lossl . Oh wow, that is very kind, much appreciated indeed. Beautiful – thanks for sharing it with us ❤ Let us always remember! It’s such a beautiful poem! King and country indeed. Nice words to remember them by. Thank you and have a nice week-end. Many thanks Brian, you too. Thank you for sharing your memories and thoughts, I really appreciate that, and thank you for your kind response too. This poem took me right back to my late uncle who was in the Battle of the Bulge and was so affected by the experience that he could hardly speak of it the rest of his life. You have a real gift with words. Janet, thank you for sharing such a precious slice of life, and thank you for such encouraging words too.